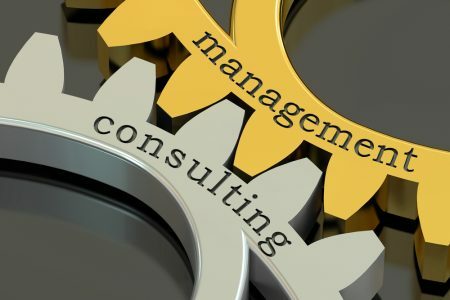 Competition in the management consulting industry is fierce, as innovation and breakthrough technologies continue apace. Corporate managers must keep up with rapid change or face extinction. That’s where Accenture (NSDQ: ACN) comes in. With a market cap of $99 billion, Accenture is one of the world’s best-known management consultants. Based in Dublin, Ireland, ACN is a professional services company, one that aims to provide solutions across the entire spectrum of any given business, particularly in regards to the nexus between technology and business. These services include strategic planning, consulting, enhancing digital and technological interfaces in a company, and improving results through company operations and infrastructure. Accenture is massive and diversified, having assisted clients in over 120 countries across 40 industries, and has innovated so often that it has some 6,000 patents. Will the company power onwards? Let’s take a look at our ACN stock prediction for 2019 and see what’s in store. To make an ACN stock prediction, we must dive further into the specifics of this worldwide consulting behemoth. Accenture offers services across five major divisions. 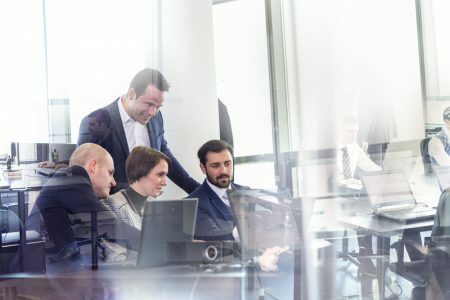 Accenture’s Communications, Media & Technology division assists clients in delivering efficiencies and digital transformation of industry-specific solutions with a focus on software, technology, media and communications companies. Accenture’s Financial Services division is concerned with profitability of businesses on not only the company-level, but also analyzes and develops sector-wide improvement plans amid regulatory changes, industry changes and mergers, and other external pressures. Banking, capital markets, and insurance industries also are targeted for improvement in digital technology services. Accenture’s Health & Public Service division is skewed towards the health care industry, but also educational institutions, non-profits and government departments, using its research to develop enhanced digital solutions. Accenture’s Products division improves the entire supply chain, from research and development to manufacturing, markets, sales, and distribution. The company takes on just about every sector, including consumer goods, retail, and travel services industries; automotive, freight and logistics, industrial and electrical equipment, consumer durable and heavy equipment, and construction and infrastructure management companies; and pharmaceutical, medical technology, and biotechnology companies. Accenture’s Resources division improves operations, integrates new digital technologies for the chemicals, energy, forest products, metals and mining, and utilities industries. Accenture’s revenues have been growing at a very impressive clip. In fiscal year 2015, the company generated $31 billion in revenue, which reached $39.6 billion in FY18. The company has kept cost of revenues under control during this period, so gross profits have been increasing at a solid clip as well. ACN’s net income has grown at a steady clip as well, increasing 15% in FY18 and pegged for 9% growth in 2019. Free cash flow is a particularly exciting aspect of Accenture because it is not a capex-heavy business. As a result, free cash flow has been explosive for Accenture and fueled its growth. In FY15, free cash flow hit $3.75 billion and expanded to $5.4 billion in 2018, an increase of nearly 50%. 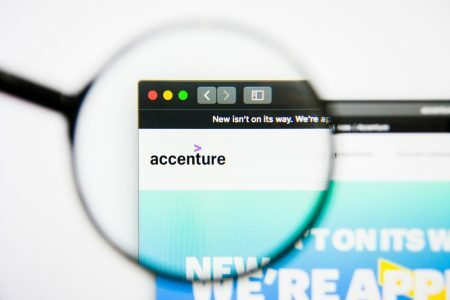 How Has Accenture Stock Performed? What Is Accenture’s Stock History? Over the past year, ACN shares have gained 3% whereas the S&P 500 has gained 3%. Over the past two years, ACN shares have gained 33% whereas the S&P 500 has gained 18%. Over the past five years, ACN shares have gained 91% and the S&P 500 has gained 48%. How Has Accenture Stock Performed in 2017/2018? In 2017, Accenture shares gained 31% whereas the S&P 500 gained 19.4%. In 2018, Accenture shares lost 8% whereas the S&P 500 lost 7.5%. To make a comprehensive ACN stock prediction, we must look at its competitors. The 800-pound go-to gorilla in business consulting is McKinsey & Company. The company says it services 90 of the top 100 companies in the world and 80 of the largest 100 U.S. firms, with about $9 billion in annual revenue. McKinsey is, to a certain extent, an opaque organization with a reputation that ranges between stellar and suspect. On the one hand, the company has been lauded for providing unique and innovative insight into just about every kind of business. But McKinsey also has been fingered as one of the chief architects of the 2008 financial crisis, having encouraged banks to securitize mortgages and take on a lot of debt. It has also been connected to the collapse of Enron and other scandals, and is sometimes mockingly considered to be the real-life equivalent to James Bond’s nemesis, SPECTRE. The Boston Consulting Group has a presence in almost 50 countries, with 85 offices and 14,000 employees scatted about them. The sheer scope of BCG’s services is daunting — everything from advanced analytics to marketing and sales, procurement, sustainability, change management, product development, post-merger integrations, technology, corporate development and finance, operations, pricing, strategy… to name just a few. Bain is perhaps best known for its consulting with Guinness, the liquor company that was once owner of over 250 different companies ranging from yacht rentals to beer. Bain encouraged Guinness to sell off 150 of those companies, focus on alcohol, and buy up two big whisky companies. Guinness’ stock soared and Bain became famous. The move helped Guinness cope with widespread consolidation in the global liquor industry. Accenture is arguably the largest management consulting firm in the world, as well as one of the sector’s best-known brand names. This video provides a snapshot of Accenture’s history. Accenture’s relentless pursuit of revenue growth has really paid off, generating $40.6 billion in the past 12 months. With a $95 billion net-of-cash market cap, it thus trades at only 2.3x revenue. That’s not an entirely unreasonable valuation. Similar companies, such as Forrester Research (NSDQ: FORR) have generated $350 million of revenue over the past 12 months and an $827 million market cap, giving it a price-to-revenue (P/R) ratio of about 2.4. NV5 Global (NSDQ: NVEE) isn’t a perfectly analogous company, but it does provide consulting services mostly in the construction and engineering sectors. With $396 million in revenue and an $896 million market cap, it has a P/R ratio of 2.2. ACN has a $99 billion market cap, or $95 billion when backing out net cash. Trailing 12-month net income was $4.2 billion. Thus, ACN stock is trading for just about 22.5x trailing earnings. Analysts project five year annualized earnings of 8.69%. As mentioned in earlier columns, we give a 10% premium to that number for each of the following: World-class brand name (yes), significant cash hoard (yes), and/or robust free cash flow (yes). That brings the growth rate up to 10.3%. Unfortunately, ACN trades at 22.5x, so it has a price-to-earnings (PEG) ratio of 2.2. We don’t see it as underpriced on this basis. The company does not appear overvalued on a P/R basis but does on a price-to-earnings (P/E) basis. That being said, the world is moving at the speed of light and consulting businesses will be continually in demand. Companies across every industry must be consistently changing and innovating. If they don’t, they will get left behind. That’s especially true in the technology sector, as shown by the successful corporate reinvention of companies such as Microsoft (NSDQ: MSFT). Although Accenture has plenty of competition, its brand name leads the way. With 9% earnings growth expected for this year, investors should likewise expect a roughly 9% stock price increase. That, plus the stock’s 1.87% yield, should provide an 11% total return. Our seasoned team of analysts continually monitors investment opportunities around the world, to provide investors with the widest possible array of money-making ideas.